Cliff Prince » Knocked out in round 4. 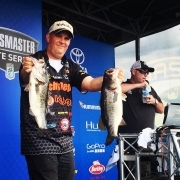 If only I had done half as well as I did in my rookie year on the Elite Series tournament trail, I could have left Toledo Bend in Many, Louisiana, a happy man. 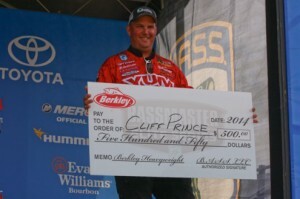 At the 2012 Elite Series Toledo Bend Battle, I went all four rounds and finished in 5th place. 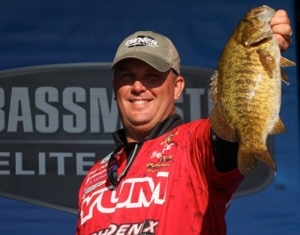 At the 2014 Bassmaster Elite at Toledo Bend – no such luck. This time, Toledo Bend landed a knock-out punch that left me down for the count and out of the hunt. I didn’t even come close to making Saturday’s cut. This year, Toledo Bend had me beat, but good. At Toledo Bend’s day 1 weigh-in, I picked up this $500 “Berkley Heavyweight” bonus check for having the biggest bag at the Table Rock Elite. No such luck at this tourney! 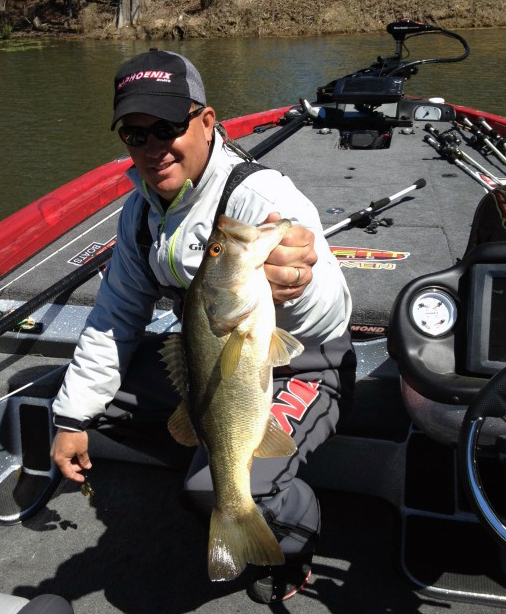 As I know from personal experience, Toledo Bend is one heckuva fishery. It wasn’t that I didn’t catch any fish – I caught a lot – just not any big ones. Never got on ’em. 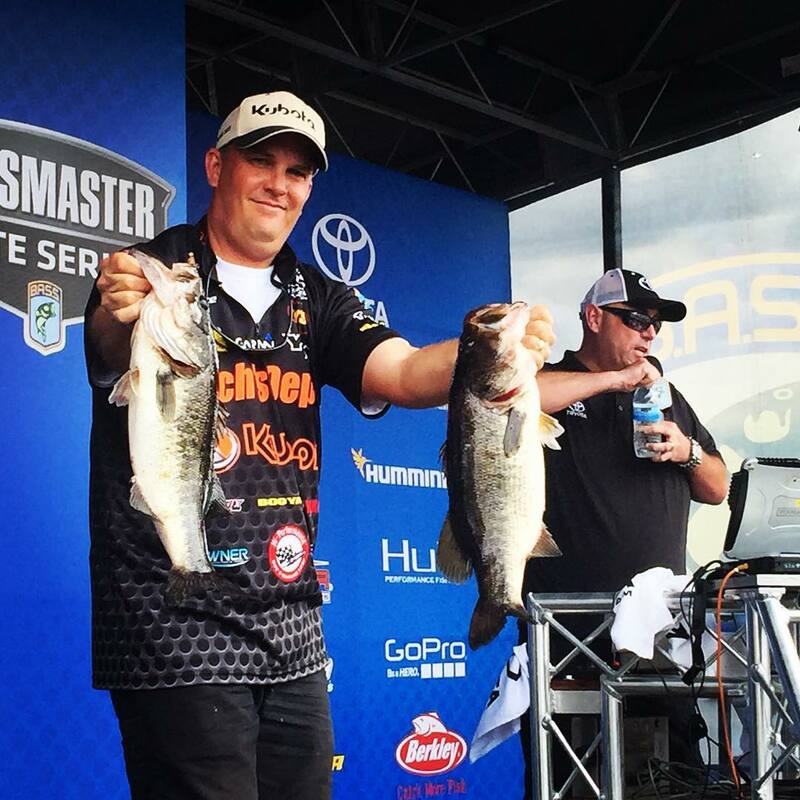 But they were out there, as tournament winner and Elite Series rookie Jacob Powroznik proved to all of us, bagging a 79.12 four-day, total weight. Not bad, Jacob! Congrats. 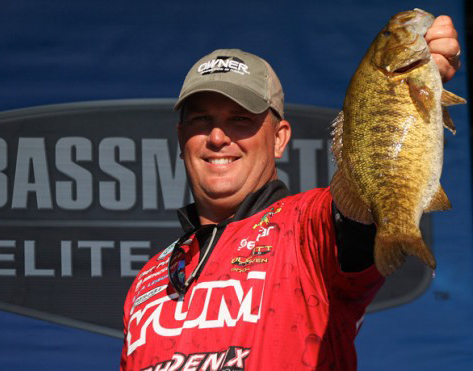 As for me, I’m shaking it off, standing tall and heading for Dardanelle in pursuit of bigger bass, a full four rounds, some AOY points, and a much, much stronger finish!